“Aphrodisiacs, Chocolate and Red Wine: Health Benefits & Samples” with Registered Medical Herbalist, Geo Giordano of The Sanctuary Wellness Center. 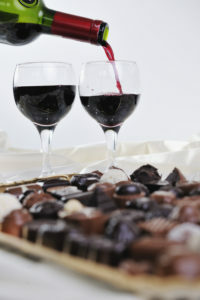 Come learn about the time-tested health benefits of aphrodisiacs chocolate and red wine… FUN!! Scientific data and samples of each will be included. Tickets are $25.00 per person and $45.00 per couple. Long Branch Historic House & Farm, 830 Long Branch Lane, Boyce. Call 540-837-1856 to reserve your tickets today!